Tj Jensen and her family head to Turtle Cove Resort for summer vacation, but their plans for rest and relaxation are thwarted when they find a dead treasure hunter in the attic of the resort's main house. Initially vowing not to get involved, Tj quickly changes her tune when the Gull Island deputy on the case closes it after a bare bones investigation. All evidence points to foul play, and Tj's determined to uncover what the deputy wants to keep hidden. 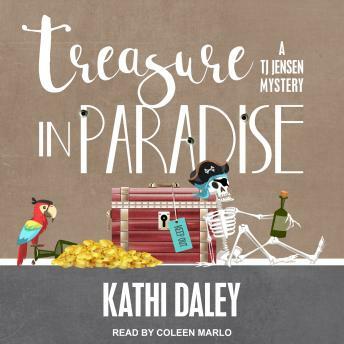 With the help of her best friend and a chatty parrot, Tj digs up a centuries-old legend, a hidden map, and secrets buried deeper than a pirate's treasure.